Our team at Feather Touch Dental Care in Midtown Atlanta strives to provide the highest quality, patient-centered dental care. We work closely with our patients to deliver top quality, personalized treatment plans that create healthy, beautiful smiles. When you walk out of our practice, you’ll be surprised by how relaxed you feel. Our entire team is focused on providing the services you need in one convenient and comfortable location. Our dental team consists of three hygienists, four assistants, and two administrative support professionals. Together, we work with cosmetic dentistry team of Dr. Ross, Dr. Neal Shah and Dr. David Kim to provide Atlanta residents with comfortable, immediate dental care. Our entire team is extensively trained and experienced, and we continually refine our skills and knowledge to give you the best service possible. We always pride ourselves on our ability to listen. If you have concerns, we always listen to what you have to say. We are especially good listeners if you’re nervous and feel something else could make you more comfortable. Raised in Atlanta, Georgia, Donald Ross had an interest in dentistry as a young man. After studying at Georgia Tech and Emory University where he earned his bachelor’s degree in chemistry, Dr. Ross enrolled in the University of Alabama Dental School. Once he received his DDS, Dr. Ross enlisted in the U.S. Air Force where he served two years as a dental officer. When he was discharged, he opened an office in Colony Square. For more than 20 years, Dr. Ross has served the general dentistry and cosmetic dentistry needs of the area. He follows the latest research and information on dentistry and he attends advanced continuing education classes. Dr. Ross belongs to a variety of organizations including the American Dental Association, Georgia Dental Association, Northern District Dental Association, and the Hinman Dental Society. 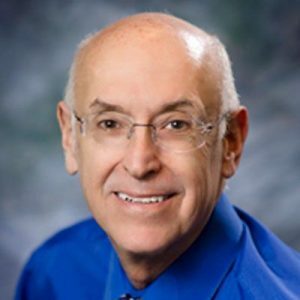 He also belongs to numerous local and national study clubs, including the Peachtree Dental Study Club and the Georgia Tech Dental Technology Affiliate Program. Dr. Ross has officially retired from Feather Touch Dental Care effective February 2018 but will always be a staple of our growing practice. Dr. Neal Shah joined Feather Touch Dental in February of 2011. Originally born in Dallas, Tx, he moved to Atlanta at six years old. He attended Georgia Institute of Technology receiving a B.S. in Industrial Engineering with honors. From there he went directly to Medical College of Georgia earning his D.M.D. 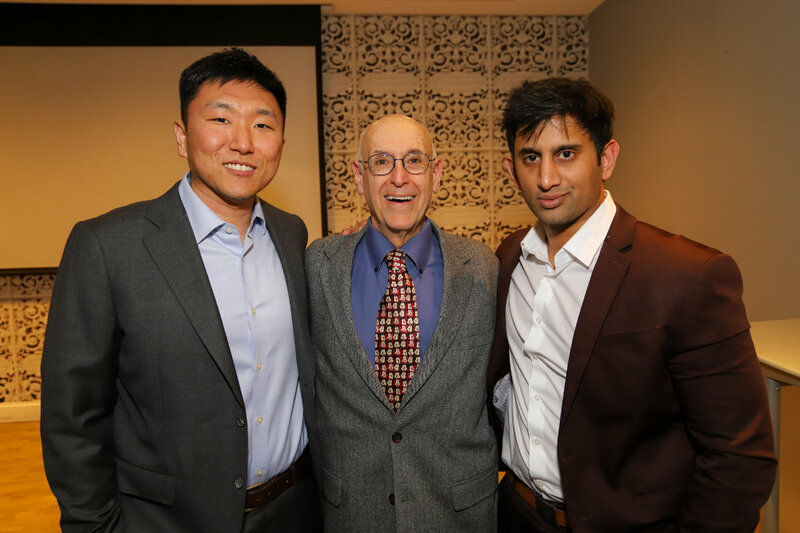 Dr. Shah has spent over 2000 hours in continuing education and is on pace to receive is Master of Academy of General Dentistry in 2019, an honor limited to select dentist who dedicate their time to advancing their education. He is has a passion for helping people achieve the smile of their dreams and maintain optimum oral help. He is an active member of seven different dental organizations, and four study clubs throughout Atlanta. Dr. Shah is also the official team dentist of the Atlanta Hawks. Dr. Shah is married to Tejal Kakade, who is also a dentist in Carrollton, GA. They live in Smyrna, with their two dogs. 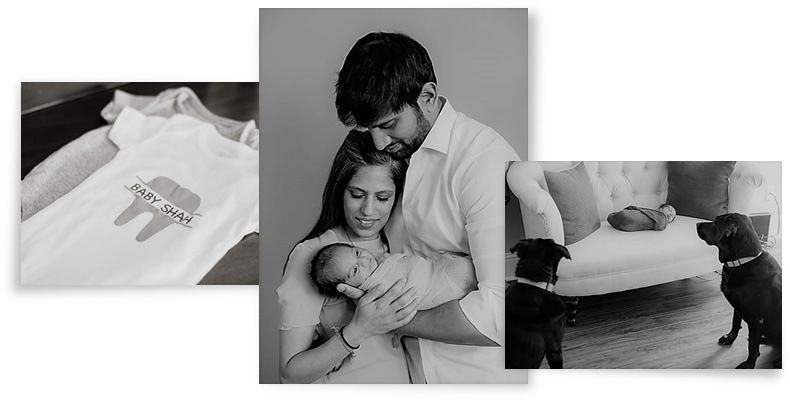 In August of 2017, Dr. Shah and Tejal introduced their newest addition, their son Nayan Shah. During his free time, he enjoys spending time with his family, and friends, watching movies, kickboxing and attempting to play golf. Dr. David Kim is a Georgia native who is excited to be a part of the Feather Touch Dental Team. He grew up in Gwinnett County and attended the University of Georgia (Go Dawgs!) where he graduated with a Bachelor’s degree in Microbiology. He then went on to earn his D.M.D. at the Medical College of Georgia (renamed “The Dental College of Georgia at Augusta University”). 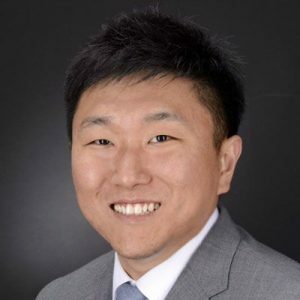 Following dental school, Dr. Kim decided to further enhance his clinical skills and was accepted into the General Practice/Advanced Education Residency at the Medical College of Georgia. This residency provided Dr. Kim with extensive training in surgical and implant dentistry, I.V. sedation, wisdom tooth extraction, and the management of medically complex patients. Dr. Kim is an active member of the Georgia Dental Association, the American Dental Association, the Academy of General Dentistry, and a Fellow in the International Congress of Oral Implantologists (ICOI). He also volunteers his time as a part time clinical instructor at The Dental College of Georgia. 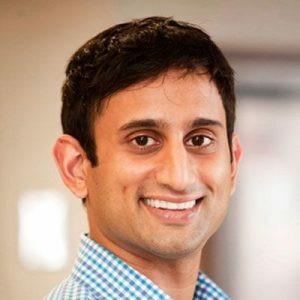 While continuing to expand his knowledge and skills in the field of dentistry, he assists in teaching residents implant dentistry and providing comprehensive dental care to patients. Dr. Kim lives in Midtown, Atlanta with his fiancé Nicole. In his free time, he loves to travel, attend sporting events, and spend time with friends, family, and his soon-to- be wife. Carlissa W. Manning is a native of Atlanta, Georgia. She is a retiree of the Armed services. 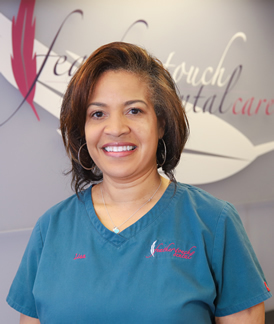 Carlissa has worked in all facets of the dental profession for more than 25 years. 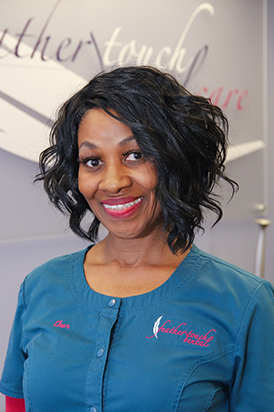 Before joining the Feathertouch family, she served as Clinical Manager for a very prestigious cosmetic practice in Atlanta. Carlissa loves meeting and building new relationships with others. She developed a love for sports at a very young age. She enjoys basketball, softball and swimming. 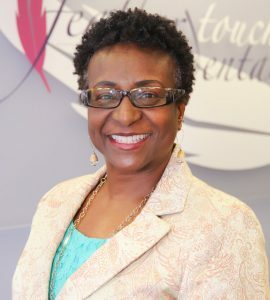 Carlissa has served as Vice President of Public Relations for Colony Square Toastmasters International and currently holds the office of Director of Christian Education. Her passion is in assisting others in areas of operations and administration. She has a 9 year old granddaughter. I have been a dental hygienist for almost eight years. I went to college at Clayton College and State University in Morrow, Georgia where I earned a Bachelor’s Degree in Dental Hygiene. I have had the great privilege of spending my entire hygiene career at what I know is the best dental office in Atlanta. At Feather Touch Dental I have time to focus on both educating my patients and taking care of their hygiene needs. By taking the time to educate them about their oral health I am also able to help them improve the health of their whole body. 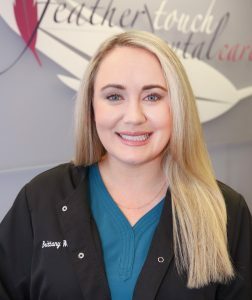 Brittany Wilson is one of the newest members to the Feather Touch Dental Care team. 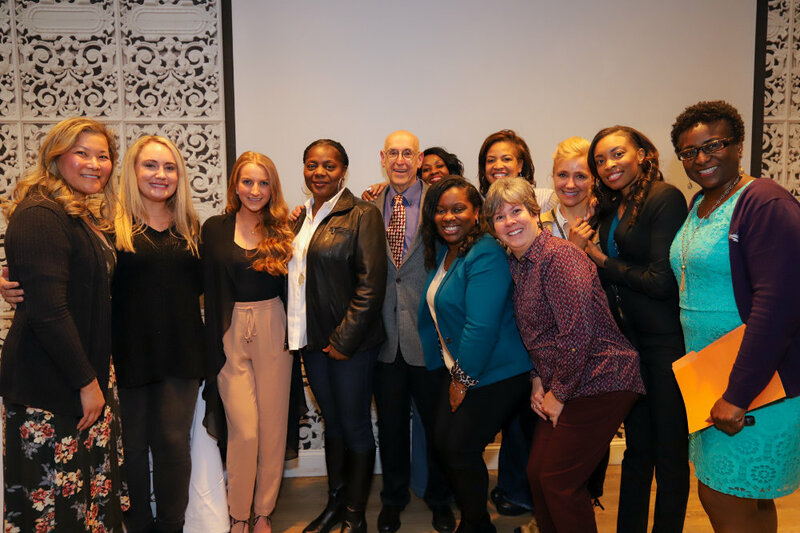 She grew up in the small town of Monticello, Ga. After receiving her degree in dental hygiene at Athens Technical College, she practiced in many different offices around Georgia. Her experience as a registered dental hygienist has truly been a positive one. In the the beginning of 2015, she was blessed with the opportunity to go on her first dental mission trip to Honduras. She enjoys traveling, reading, and spending time with family and friends. 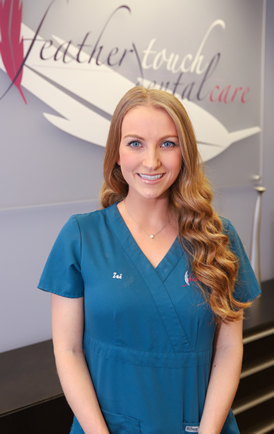 Brittany is proud to be a member of the very caring and experienced Feather Touch Dental Care team. 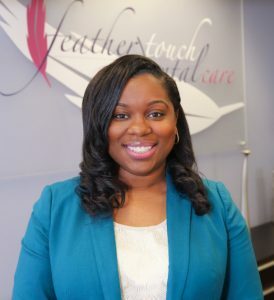 With nearly a decade in the field of dentistry, Jovonne joined the Feathertouch team in 2013 after relocating from her home state of North Carolina. 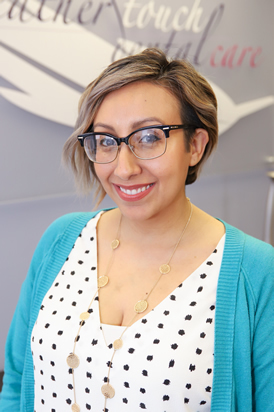 While she currently serves as an Insurance Coordinator, Jovonne prides herself in creating a positive patient experience by providing clear benefit expectations, and maximizing the extraordinary level of service provided by our practice. In her spare time, Jovonne enjoys serving at her church and volunteering as “Team Mom” for her daughter’s cheerleading squad. Margarita Johnson joined the Feather Touch team in 2018 as our Dental Hygiene Coordinator. She was born and raised in Chicago and moved to Atlanta in 2017. She has been in the dental field since 2008. In that time, she has made it her mission to help patients maintain their oral health by way of prevention and early detection. She has a passion for healthcare and believes excellent oral health contributes to sound systemic health because it is the main gateway to our bodies. Margarita and her husband have 4 sons under 4 years old. In her free time, she likes to travel, take her kids and dog to the park, and try new foods throughout the city. Sherquondra Fitzgerald is our scheduling coordinator. 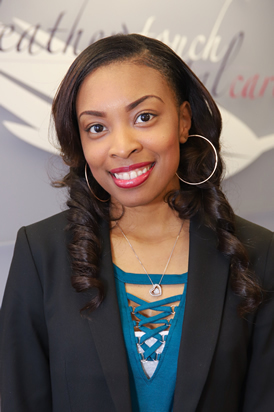 She was born and raised in Atlanta, Ga. She has been in the dental field since 2011 and has grown a great passion for patient care. During her spare time, she enjoys reading, working in her garden, traveling and spending time with her family. She also loves learning and trying new things such as eating exotic food and traveling to exotic places. She has an 11-year-old Shi Tzu who she adores. 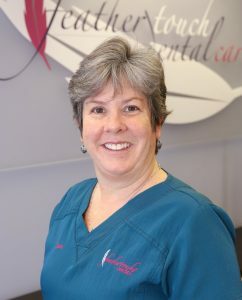 She feels truly blessed to be a part of Feather Touch Dental as we provide our patients with the highest level of care. Lisa Bowman is one of our newest dental assistants. Lisa originally is from Lexington, Kentucky where she received a full ride scholarship to Kentucky State University and received her B.S. in Education. She later moved to Tennessee where she became a registered dental assistant. In her 30 years of dentistry, she has worked in various aspects of dentistry from restoration to implants. In her spare time, Lisa enjoys traveling, attending various sporting events, and spending time with her family. She a mother of two and grandmother of 5. Zoë Klvana was born and raised in the small town of Sherman, CT. She received her Bachelor of Science in Dental Hygiene from West Virginia University. Let’s go mountaineers! Before moving to Atlanta, she practiced for a couple of years in Westchester County, NY. Zoe is concerned with the well-being of each and every one of her patients and focus on the quality of their care. She enjoys educating her patients with the information they need to maintain a clean and healthy oral cavity, and an overall healthy life. Zoë has been fortunate enough to go on two Dental mission trips where she provided free dental care to underserved communities in Honduras and Belize. On her spare time Zoë spends time with her family, friends and boyfriend. She enjoys traveling, hiking and skiing! 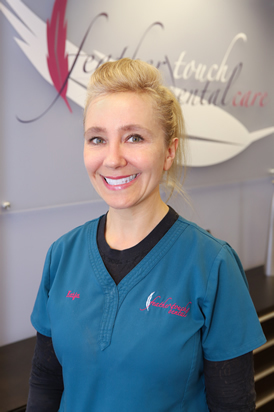 Katja is an expanded duty dental assistant with over twenty years of experience. She received her initial dental training in Germany and kept up with the growing field in the United States, attending continuing education classes at the University of Kentucky as well as significant training in dental implants and sedation. Her focus on client care is unsurpassed and patient comfort is her top priority. Katja moved to Atlanta a few years ago and enjoys spending time with her husband and three children, exploring the city and traveling. Cher received her Advanced and Basic Dental Assisting Diploma from Concorde Career Institute in Denver, Colorado. Cher is originally from St. Petersburg, FL, but has lived in Georgia for over eight years. She is an eager and enthusiastic dental assistant and is a vital team member at Feather Touch Dental. Cher is here to make sure your dental visit is comfortable and easy as possible. Her warm personality and bright smile always help patients feel at ease. When Cher is not working, she enjoys spending time with her family and loves to workout and stay in shape. Our team at Feather Touch Dental Care in Atlanta, Georgia offers the latest innovations and modern treatments to help you achieve a confident, healthy smile in a relaxing spa-like setting. Our cosmetic dentistry services erase minor aesthetic problems and reverse intense damage to bring out the beautiful smile within. Schedule a cosmetic dentistry consultation with Dr. Donald H. Ross and Dr. Neal N. Shah online or via telephone at 404-975-2727 to experience the highest quality Atlanta cosmetic dental care. Our dental team works closely with patients to find appointments that accommodate busy lifestyles.